Almonds coated in our delicious cinnamon, sugar and vanilla coating. 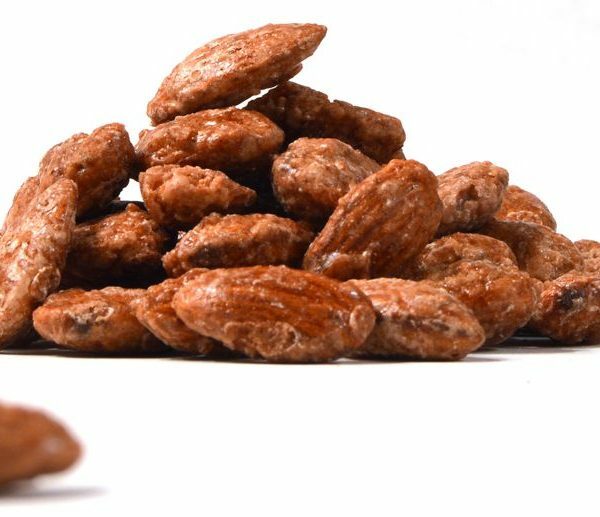 Heavenly Roasted Nuts are coated in cinnamon, sugar and vanilla. Watch out, these nuts are addicting! 6 oz bag of our delicious almonds comes in our signature bag. 1lb of almonds comes in a beautiful 4 compartment box. They are perfect for any occasion!